This is a new feature in my blog, a series of interviews of special people, who spread sunshine to our daily lives. I was lucky enough to sit down for a virtual cup of coffee with three amazing ladies; Jane, Sharon and Audrey from the Pinks & Blues. 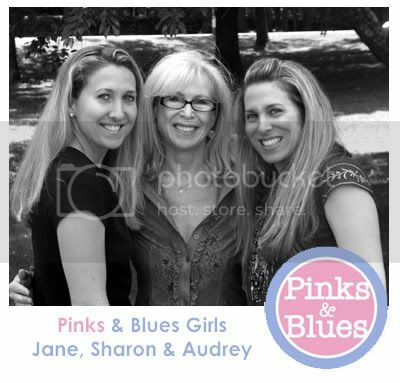 Sharon is Jane and Audrey’s mother, and they own Pinks & Blues together. I asked them a few questions while celebrating one of the biggest Pinks & Blues events so far, the re-launch of their fabulous website of ultra-hip finds for everyone in the family! 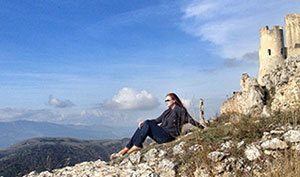 Katja: How did you get started with your company Pinks & Blues? P&B Girls: In 2003 Audrey and her husband were living in New York City and thinking of having a baby, and Sharon was retiring from her teaching career. Fun discussions about conceiving and preconception health led Sharon and Audrey to do research, which turned into a book, Preconception Plain & Simple. The book led to the forming of our company Pinks & Blues, which was originally designed as a preconception-based interactive website (www.pinksandblues.com). Katja: Tell us more about the book. Sharon: We started researching important medical information, but also fun stuff. Aphrodisiacs and secret recipes. Fertility oils, herbs and amulets. Fertility flowers and music. Fertility dance, rituals and blessings. Even magical spells! Audrey was sharing all the information with her friends, and we heard “this should be a book” so many times, that decided to publish it! Katja: So, how did the advice in your book work for you Audrey? Audrey: Great! I have three sons – all the information in the book worked! Katja: Jane, when did you start working for the Pinks & Blues with your sister and mother? Jane: I was still in college when Mom and Audrey started the company, and worked for the family printing business for a while after graduating. When Audrey and her husband moved back to Rhode Island, I had just gotten married too, and I joined the “team”. I saw the fun and excitement, and passion that Mom and Audrey had for Pinks & Blues, and wanted to be part of it! Katja: Wow, so that was big steps for all of you! What happened next? Sharon: Pinks & Blues website expanded when hundreds of women who read the book and had conceived wanted to stay in touch with us and also know how to look and feel great while pregnant. 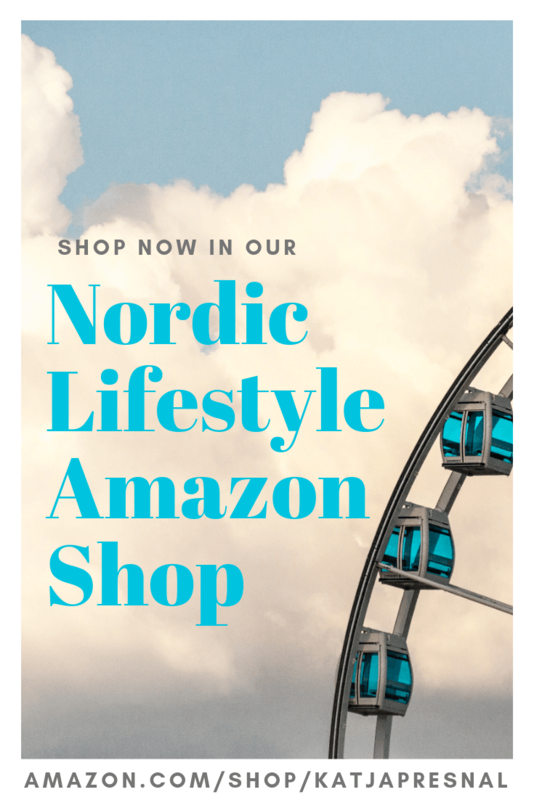 Audrey: Yeah, and find great baby items, and how to let grandparents and others know what gifts to give, and discover great items for beyond the baby years too. Jane: And of course we always had questions from parents of pets! Sharon: We didn’t want to change the Pinks & Blues brand, so we decided to expand it even further. People started to say, “I’m lucky to know this!” and our tagline was born. Katja: Did you have people telling you not to do business with family? Sharon: Of course. But while me and my husband were both high school teachers, we also had a successful printing company (Barrington Printing) serving the Northeast. Audrey and Jane were not daunted by working with family, the unusual hours, and the time and dedication it takes, they had already seen what it is. Actually our two oldest children, Keith and Adam, are now partners in the family printing business. Katja: Not just one successful family business, but two! What is your secret? Jane & Audrey: We were always encouraged to take your passion and turn it into your work. Hard work combined with a passion is our formula for success. Sharon: Me and my girls know that each member of the partnership needs to bring her special skills to the table, and have incredible respect for each other’s ideas, goals and needs, and be willing to be flexible. Each member of the team has to be committed to 100% of the time, finances, work schedule, and challenges as well as high points. Katja: What is the best part of your work and working together? Pinks & Blues Girls: The best part of working together is seeing each other every day! Sharon: The best part of our work is the excitement of delivering and meeting the thousands of amazing women out there. Jane: I like the late night texts, emails and phone calls when one of us has a great idea or has found a fantastic new product. Audrey: .. or the impromptu meetings on Saturdays and Sundays and evenings when something new has developed. Katja: You ladies are just too cute together.. there has to be something that bothers you about the others! Audrey: I’m not too happy if the coffee isn’t ready when I show up for work at Mom’s house! Jane: And I hate to park on the other side of the street if both Mom and Dad’s cars are parked in the driveway. Sharon: I feel like I’m constantly picking up coffee mugs, pens and pencils, crayons, bottles, and doggy toys, since the girls sometimes bring their two- and four-legged children to work too. And then Audrey gives me hard time, if I’m spending too much time kissing all the grandbabies or playing with Ryder, Jane’s dog. Katja: What’s next for Pinks & Blues? Are we going to see more books and where do you see yourselves in ten years? Pinks & Blues Girls: We see ourselves on speaking tours. We will have a line of Pinks & Blues products and books. And we will still be working together every day. And of course, there will be more babies and more pets! Katja: Thank you so much for your time and I wish all the best for you ladies. I can’t wait to come on your next book tour and meet you in person! Pinks & Blues Girls: Thank you for asking us, Katja! We too hope to meet you some day! Katja, this is good stuff! You did such a good job extracting a few tidbits of personal information. I’m alread a P&B fan, but I got just a little better glimpse with this interview! I would love to hang out with all you girls sometime! I do hope we can arrange it! The Pinks & Blues Girls are one of a kind here in Blogland! Those girls are so cool! I love their blogs and their amazing giveaways! Great interview! Katja… You have such radiant and beautiful energy, and made our interview so much fun! Your questions are so provocative (and now I know about the coffee and the parking spot!). Thank you for choosing us. I am looking forward to reading all the others! Great interview! I'd like to be at that meet-up…sounds like a fun time. Yep. They’re as chic as they seem! Great interview! The interview looks awesome!! Thank you so much!! So so much!! You’re the absolute best!! Katja, you are such a fantastic interviewer! Thank you so much for this opportunity – we are so excited to be Skimbaco’s first interview! !